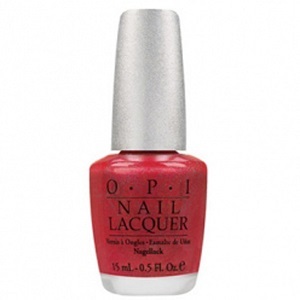 OPI Designer Series Nail Polish, Reflection, DS030, .50 fl. oz. Light red nail color with scattered holographic micro-glitter.